Superdry men's Active graphic slim t-shirt. Push for progress in style with the Active graphic slim t-shirt. 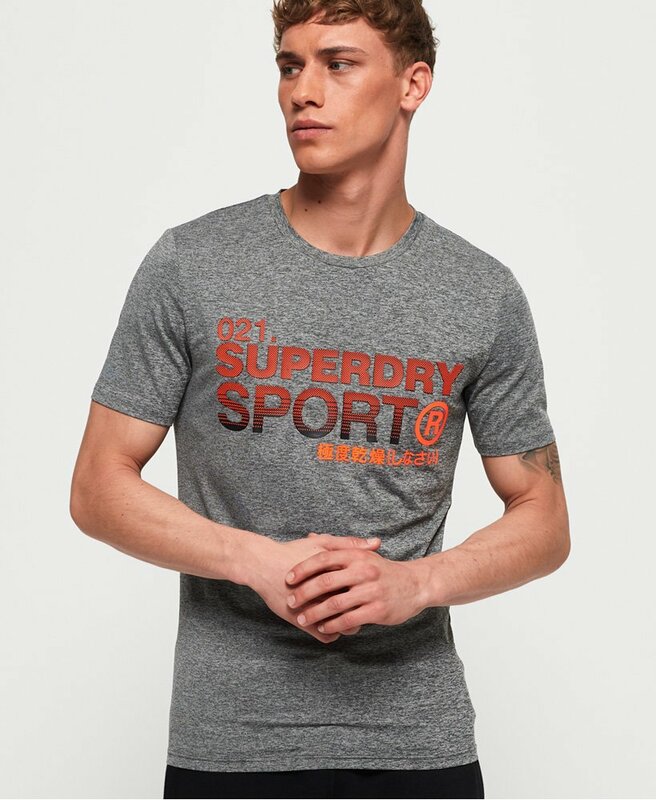 Combining four way stretch fabric with moisture wicking technology, this t-shirt is all about keeping you cool and comfortable as you workout. Lightweight in style with a slim fit, the t-shirt features a classic crew neck, short sleeves and large logo graphic on the chest. Look out for reflective logo detailing on the sleeve and back, which helps to improve visibility in low lighting.